That's right. I'm doing a Dream Chaser post on the man in the red coat. But not the holly jolly figure we think of today. I'm talking about the original St. Nicholas - one of several inspirations for our modern-day Santa. Last Friday, I dressed up like an elf and spoke in an assembly at my kid's school. Honestly, I loved every minute of it. 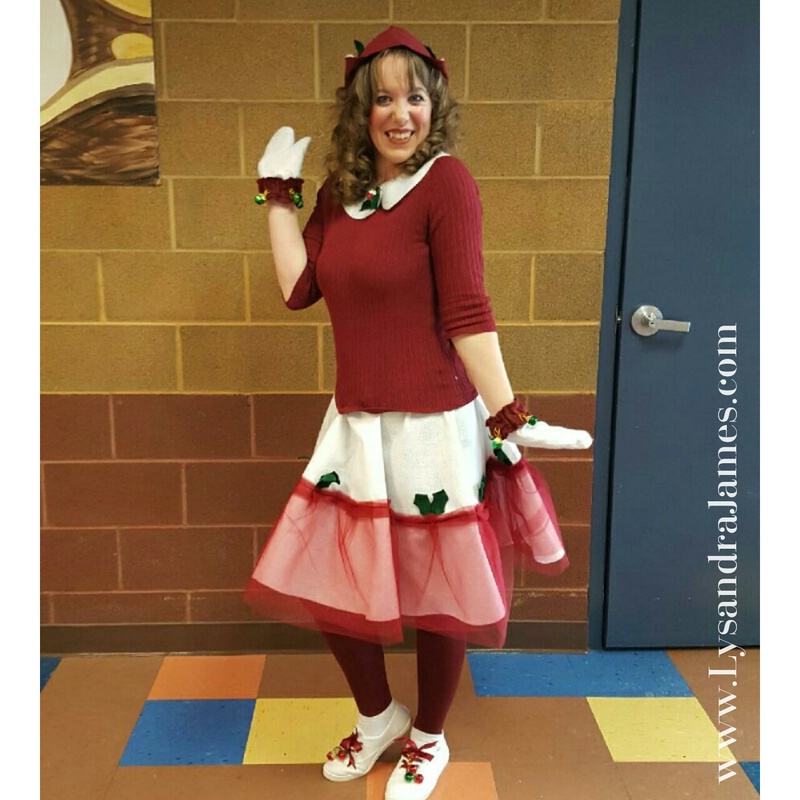 Jingle bells on my shoes and mittens, holly leaves sewn to my skirt and hat. Oh, yeah. Holly Bell, head of the Caroling and Cocoa Brigade at Christmas Corners, was a hit. The kids listened entranced as I read from a Christmas book we've had in our family for years. 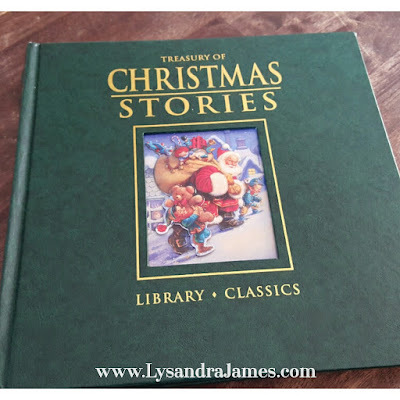 It's a collection of Christmas stories from around the world. 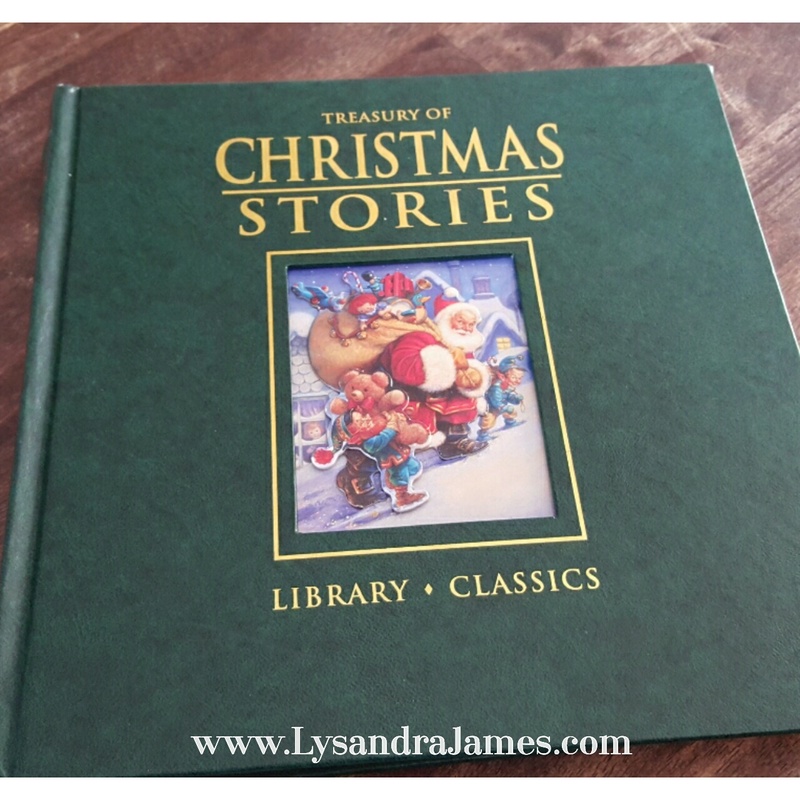 The story I chose to read was "The True Story of Santa Claus" by Brian Conway. The story was simple and straightforward about a man named Nicholas who was kind and generous. He shared what he had with those who had none. He helped others without hesitation. And he brought joy to all. As the boy grew, he first joined the church and soon became bishop. He wore a long red robe and hat and traveled on horseback. The children loved him and would gather to greet him when he came to town. Upon hearing about a poor old man and his three daughters who couldn't even afford food, he determined he could help. One night, he climbed on their roof and dropped three bags of gold down the chimney. According to legend, the gold landed in the girls' stockings which had been hung by the chimney to dry. The tale spread and soon other children hoped to find things in their stockings. The story is related somewhat differently according to Wikipedia. "In his most famous exploit, Nicholas aided a poor man who had three daughters, but could not afford a proper dowry for them. This meant that they would remain unmarried and probably, in absence of any other possible employment, would have to become prostitutes. Even if they did not, unmarried maidens in those days would have been assumed as being a prostitute. Hearing of the girls' plight, Nicholas decided to help them, but being too modest to help the family in public (or to save them the humiliation of accepting charity), he went to the house under the cover of night and threw three purses (one for each daughter) filled with gold coins through the window opening into the house. "One version has him throwing one purse for three consecutive nights. Another has him throwing the purses over a period of three years, each time the night before one of the daughters comes of age. Invariably, the third time the father lies in wait, trying to discover the identity of their benefactor. In one version the father confronts the saint, only to have Nicholas say it is not him he should thank, but God alone. In another version, Nicholas learns of the poor man's plan and drops the third bag down the chimney instead; a variant holds that the daughter had washed her stockings that evening and hung them over the embers to dry, and that the bag of gold fell into the stocking." No matter the version, one thing remains the same. Nicholas was a true Dream Chaser. He sought to help those in need and pursued that goal across the known world. His benevolent acts earned him sainthood. He is the epitome of what this season is about - kindness, generosity, and charity. He refused credit for his deeds time and again, praising God in all things. May we all seek to be like St. Nicholas this holiday season. May we remember the true reason for the season. And may you all have a very merry Christmas.